Whether you’re just starting your own business or your company has been around for years, if your company enters into contracts for construction, manufacturing or supplies, then chances are your company needs to be bonded. 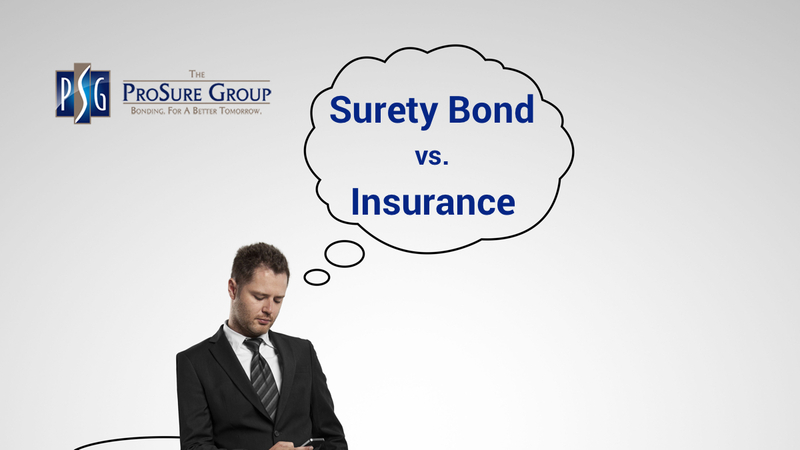 So what are the differences between Surety Bonds and Insurance? 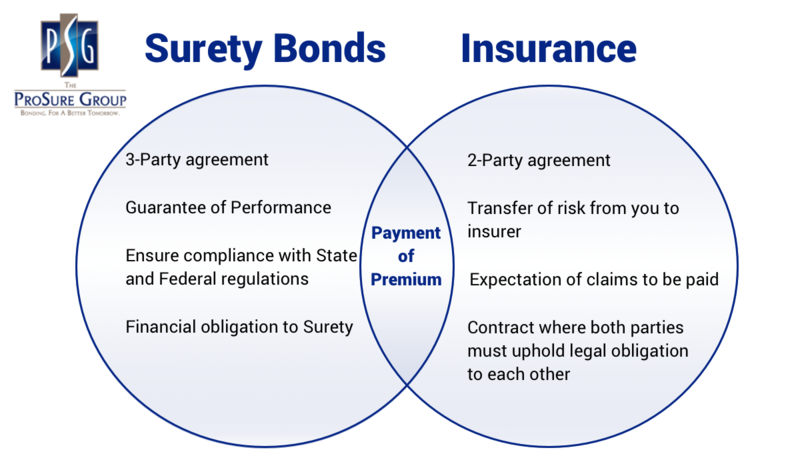 There are also similarities between surety bonds and insurance. Both products allow harmed individuals to collect recompense in certain situations. As a last resort, surety bonds give individuals the ability to collect reparation when a bonded entity fails to meet the bond’s contractual language. Similar to insurance claims, this is a retroactive way to do right by the harmed individual. Although surety bond claims can be made when necessary, they aren’t nearly as common as claims against insurance policies. Another similarity is the payment of a premium, because when a person pays a bond premium for a surety bond they (the principal) do not transfer risk to the surety, and instead the payment of claims will fall on the principal’s shoulders. When dealing with surety bonds, the protection goes to the person or entity that requires the principal to purchase the bond (the obligee). When dealing with losses, insurance companies typically expect to make payment for a certain percentage of a given claim. However, surety bond companies do not expect to make such payments on claims, and instead treat the premiums paid for surety bonds as service charges. The premiums essentially authorize the principal to use the surety’s deep pockets for financial backing, which provide the required guarantee. In summary, the insurance industry is built around the assumption that customers will in fact file claims, and need to use their insurance. In the surety bond industry, claims are not looked at as inevitable, but instead all parties involved do everything in their power to avoid such losses. The ProSure Group strives to provide knowledgeable, understanding and creative surety services through an excellent and educated team of professionals while using state-of-the-art technology. Apply for your surety bond today!